Therefore, the orange feature for this month are these cute pair of orange shoes. 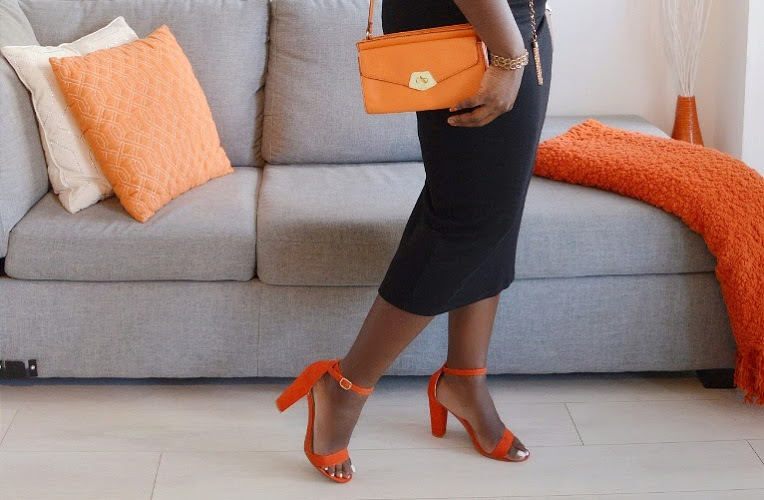 I have forever been trying to find a nice pair of orange shoes, and let me tell you, the struggle has been real! I have looked in stores and online and have never seemed to find a pair that are fully orange or the right shade of orange. However, the search finally came to an end over the summer as I was doing some online shopping in preparation for my birthday trip. I found this cute pair online from one of my fave stores Charlotte Russe and ordered them right away. They came just in time for my Birthday and absolutely love them! With a thicker heal, they are super comfortable and they work as a great accent shoe to add a pop of colour to a neutral outfit.